Excuse us for living, but this will be year #15 vacationing for a few weeks in Dewey Beach, Delaware! 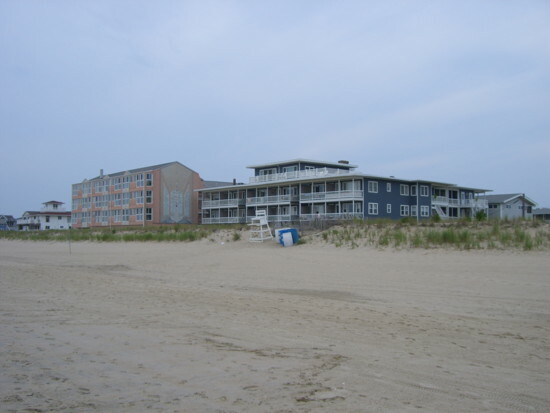 Pictured above left, is the Surf Club, an efficiency hotel where we vacationed 13 years. To the right, Sun Spot, a condo next door, is where we moved over to for year #14 and this year #15. Delaware beaches remind us of the New Jersey shore in “days of old,” a little less populated and less regulations and more freedom on the beaches. Starting from taking the Cape May-Lewes Ferry all the way down to Ocean City, Maryland, the Del Marva Peninsula has something for everyone; Lewes, Rehoboth, Dewey Beach, Bethany, Fenwick and Ocean City. What does the area offer? – – Upon our return in the “Excuse Us…” August Post! Excuse us for living, but we will cover David McCullough’s first 5 books here and his remaining 4 books in an August 2012 Summer Edition! Where do I begin, but to say I discovered that there was a David McCullough in my life watching TV. It was a Ken Burns documentary, “The Great Bridge,” 1982, about the Brooklyn Bridge, narrated by David McCullough. Since then, his voice has become familiar, going on to host the “American Experience” series on PBS twelve years on other historical subjects. The Ken Burns program was based on David McCullough’s book, the tome, The Great Bridge, 1972. I was “hooked.” I had to read it. I had to see and walk The Bridge. The book’s remarkable detail was a frustration at first and then the author’s obsession for his subject became my own. You have to remind yourself that this was not supposed to be the building of a monument but a utilitarian bridge: from the wire rope manufacturer of Trenton, New Jersey, John Augustus Roebling, and builder of cable wire suspension bridges, to the planning and transfer of responsibility for the project to his son, Colonel Washington Roebling, as Chief Engineer, to the story of the grand Caissons supporting each tower, to its completion. – -A project the technology for which did not exist, yet they built it anyway! As if that were not obstacle enough, the project had to also survive the corruption of the infamous Boss Tweed and Tammany Hall politics! 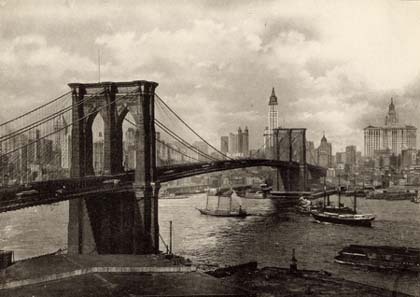 David McCullough completes an exhausting narrative that made you sorry it had to end 14 years in its building with the opening of the Brooklyn Bridge in 1883. If I thought I was “hooked” on the Brooklyn Bridge, now I was really in trouble to fulfill my historical curiosity. – –The Johnstown Flood, 1968. 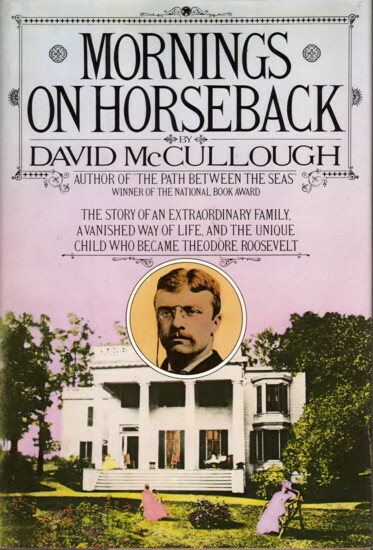 Now why did McCullough spend his time writing on, I wondered, such narrow historical topics? Little did I know that this was actually his first book. He spent twelve years writing for Sports Illustrated, the United States Information Agency, and American Heritage. He struggled to complete this first book of his writing part-time. And having been born in Pittsburg, Pennsylvania, David McCullough came from “a hop, skip, and a jump” to the west of Johnstown, PA. Anyway, the Johnstown flood was one of the most devastating disasters in American history. David McCullough’s account of the events leading up to the disaster is mesmerizing, killing over 2,000 townspeople in 1889. – -And all because of an earthen dam that had been hastily rebuilt to create a lake for an exclusive rural lodge or men’s club for the industrial tycoons of the day, the likes of Carnegie, Frick, and Mellon, to name a few. His portrayal of this terrible saga has become to my surprise one of my favorite books. 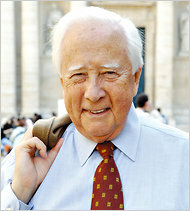 With the success of “Johnstown” and with encouragement from his wife, Rosalee, David McCullough decided to become a writer full-time. That’s when he wrote The Great Bridge, followed by another narrow topic, The Path Between the Seas: The Creation of the Panama Canal, 1977. It was a detailed, fascinating tome of a book describing the history and building of the canal between the Atlantic and the Pacific Oceans from 1870 to 1914, going back to the failed French efforts. To put it mildly, the struggle against yellow fever and malaria were as great a feat as the marvel of engineering and construction. Add to these the administration of the project, the politics, diplomacy, show of military might, and theatrics of Teddy Roosevelt, and you have one hell of a book! Next came Mornings On Horseback, 1981, a book which still leaves me almost speechless to describe. It read like a fiction novel, it is so lyrical in storyline. And yet, it is the biographical story of the life of Theodore Roosevelt, from 1869 to 1886, only a span of 17 years, before he was “Theodore Roosevelt.” – -I mean, the TR we associate as the 26th President of the United States! But it also includes his childhood, college years, his political beginnings, the cowboy years in the Dakota Territory, and especially life in New York City and in bucolic Sagamore Hill on Oyster Bay. – -What a dessert of a book! I love this book! Somewhere along the way I read his next book, Brave Companions, 1992. It was not without annoyance that I turned to this strange collection of essays, written over a period of twenty years, just as I had been annoyed with David McCullough’s selection of other narrow topics, but for a different reason. – -Essays and no dates of publication for each one! By now David McCullough was becoming more of a friend than an author to me. I had a right to be mad at a friend, hadn’t I? – -Until I read the little volume. It quickly became another of my favorite books with essays on great people in history normally not written about from science, industry, literature and the arts to travel and places to visit and what to see. – -even recommendations for doctoral dissertations and topics on which to write books! Amazing! We will let you consider these first 5 books of David McCullough to choose from for a great read that suits your interests. But hurry! The August 2012 Summer Edition of “Excuse Us…” will finish up with his other 4 books that may be equally compelling to you! We better hurry! One never knows when David McCullough will pop up with another book on some obscure topic I will learn to love!!! Absolutely fascinating!! Phil you give such great descriptions of these books–love to read your blog. And ENJOY Dewey beach–hope you have great weather. Dear Phil – once again a very well-written post. Always a pleasure to see a fellow blogger who turns his eyes to the details and provides the readers with loads of information. Keep up your great work, and we always enjoys our peeks at Excuse Us for Living…. Thank you for setting a very high standard. No trashy romances for your beach reading. Well done. You are quite a storyteller yourself ! I better hide the credit card because now I want to go out and buy these especially the one about T.R.! Great post as always!